Elastication There are 33 products. Manufactured to micro tolerances to ensure a perfect secure fit throughout their life. Colour coded to match Slip Elastic, Slip Connectors are available in two different sizes. Probably the best balanced and most efficient, interchangeable cupping system on the market. They have the screw fitting positioned on the top rim making it far less likely for you to spill any bait when shipping out. Drennan Polemaster In-Line Olivettes are the New Generation of Olivettes and have the size engraved on them. These olivettes have the same fixing system as the Fox ones i.e. the line goes through two pieces of tube (supplied) and the olivette is fixed by pegs on each end. 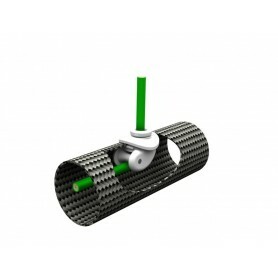 High quality PTFE external bush designed for use with all hollow elastics, but specifically the Polemaster Carp Bungee range. Drennan Hook-ups keep your rigs neat and tidy and prevent tangles when the top is not being used.They are best set at rig depths to avoid exposing unnecessary lengths of elastic under tension. Each packet contains 30cm of internal bore - 0.7mm black - 0.9mm clear - 1.1mm black Supplied in packs of 3 or 4. 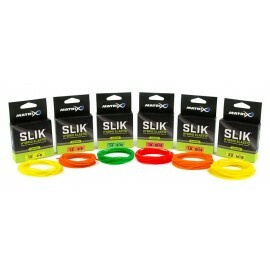 Three extra fine diameters of silicone tube for pole floats with extra slim or fine wire stems.